Welcoming the Chinese New Year and Cap Go Meh (15th day of first month of the lunar calendar), the Saint Yosep Singkawang Group has completed 12 replicas of moon dragons, reports kompas.com. Bong Sin Fo, the leader of moon dragon replica project, confirmed that all 12 replicas were 100 percent complete. He told Kompas.com in Singkawang, West Kalimantan, on Monday that his team would relocate each dragon from storage to the tent that will house them on Jl. Alianyang, next to Singkawang Grand Mall. When all 12 dragons have been relocated and arranged the display will be unveiled three or four days prior to the Chinese New Year. “We are aware that most Cap Go Meh celebrations are dominated by a number of tatung [people possessed by gods or by the spirits of ancestors], but we are confident of stealing the show with the 12 dragons. 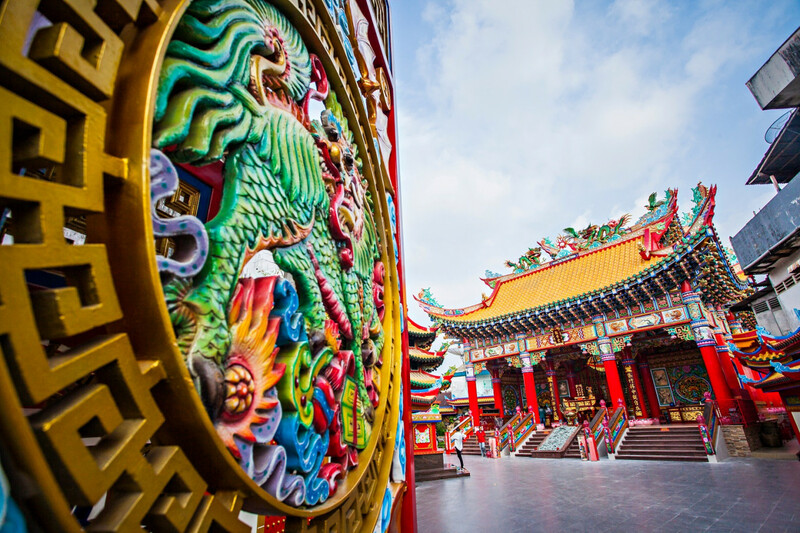 It will also give more diversity to Cap Go Meh,” said Bong Sin Fo. For the previous Cap Go Meh celebration in 2018, Bong Sin Fo’s group presented nine dragon replicas, and this led them to receiving recognition from the Indonesian Museum of Records (MURI) as the maker of the highest number of dragon displays. One of the dragon replicas is slated to stage a performance on Feb. 17 alongside the barongsai lion and kilin (a barongsai lion of highest rank). On a separate occasion, the coordinator of the Singkawang Imlek (Chinese New Year) and Cap Go Meh public relations section, Budiman, said the preparations for the two holidays were almost fully complete. “We’ve met no significant obstacle until now,” Budiman told kompas.com. He gave an assurance that the celebration in Singkawang would be as lively as in previous years.